When your supplier is acting strangely like they aren’t doing everything on the “up and up” you should do a little checking to make sure everything is ok. You can check with Medicare and/or the Social Security office so that you know if everything is ok with them in their world. 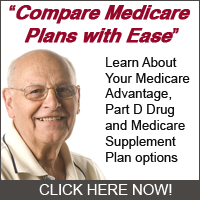 Medicare also has a confirmation number that you can call to ensure that someone is a licensed or approved supplier for Medicare. When you use this number remember that someone will be following up with it in several days to make sure everything is ok. You don’t want to falsely accuse anyone of anything so make sure you are firm in your belief before you make a critical phone call.